Even though there were no toy deals for the 2011 X-Men: First Class movie, I liked it so much that it rekindled my interest in anything X-Men related. What’s more, I even got around to pick up my first Marvel Universe Wolverine. 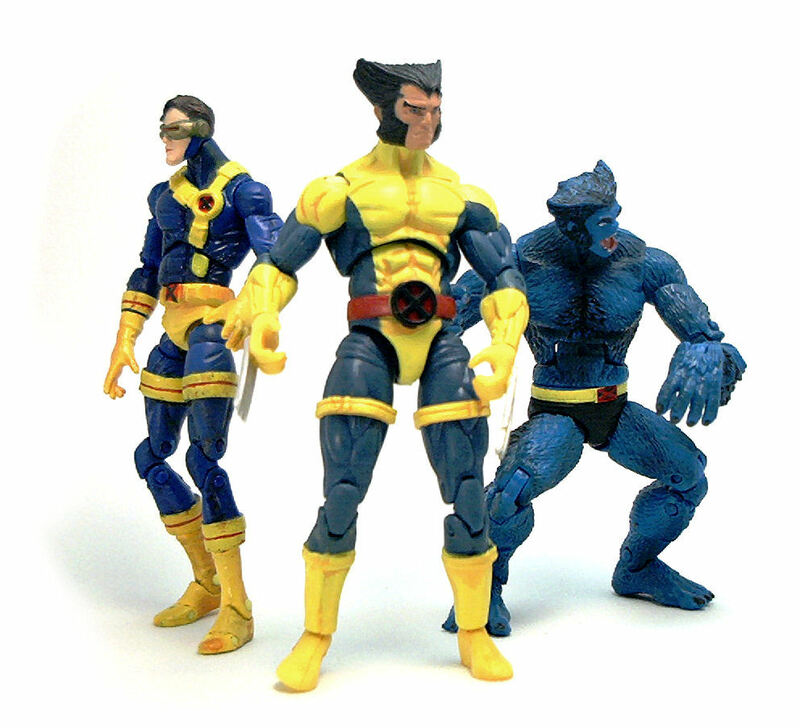 Wolverine action figures are not exactly scarce nor hard to find, thanks to the deluge of figures left-over from the X-Men Origins: Wolverine line, but the one version from Marvel Universe that really caught my eye was the revision of the figure sporting the Jim Lee designed Blue Team uniform. 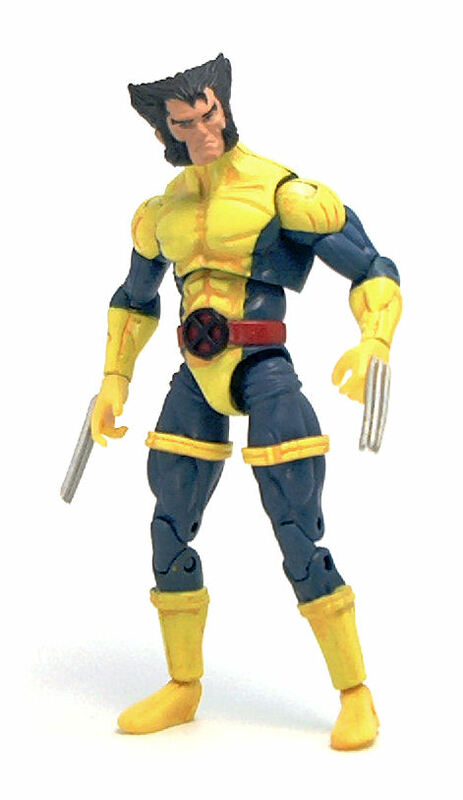 This figure was originally released in 2010 as part of Series 2, using pretty much the same body mold that was used for the X-Force version back in Series 1. The 2010 release had a much maligned head sculpt of an unmasked Logan that was way too small and had a rather odd bone structure. Fortunately, there was a running change made to provide this Wolverine with a human looking face. 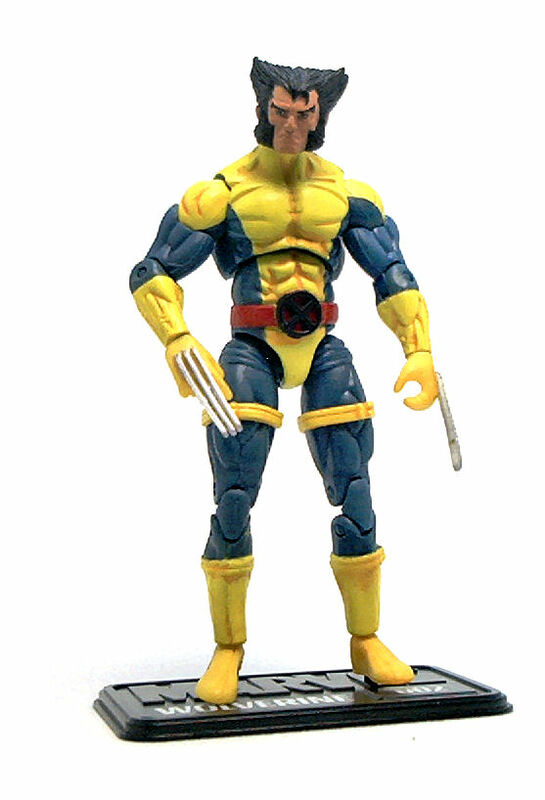 Since this isn’t an entirely generic body sculpt, you can make out the unique elements of the Wolverine costume, like sculpted gloves, belt and the edges of the briefs, along with some costume wrinkles over the ripped musculature. 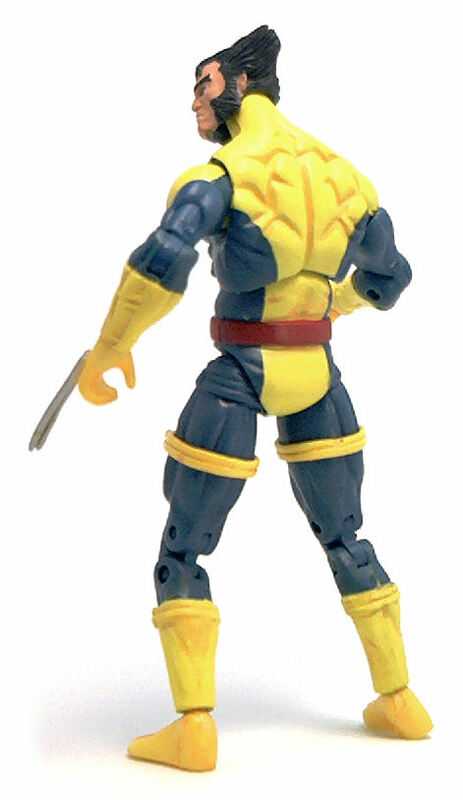 On the thighs, Wolverine wears a pair of yellow straps that were added as removable rubber accessories instead of retooling the existing molds to include those elements, like they did for the calves which sport similar costume elements. Overall, I’m not a fan of using the of G.I. Joe style hip joints for these figures, mostly because the range is limited by the depth of the hip socket, but I must concede that this is possibly the best implementation I’ve seen done in this line; Although, had Hasbro go for the entirely new sculpt for the thighs, they could have hidden an upper thigh swivel under the yellow straps with no problem. The paint coverage on the yellow uniform sections is very good, and those areas were also given a subtle orange wash that adds a lot of depth and warmth to the base color. The blue sections of the outfit are left just in the blue plastic base color. The head seems to have been molded entirely in black plastic, with the exposed skin area painted on, again displaying a superb coverage of the flesh toned paint over that darker plastic, with eyes and eyebrows neatly applied in place. 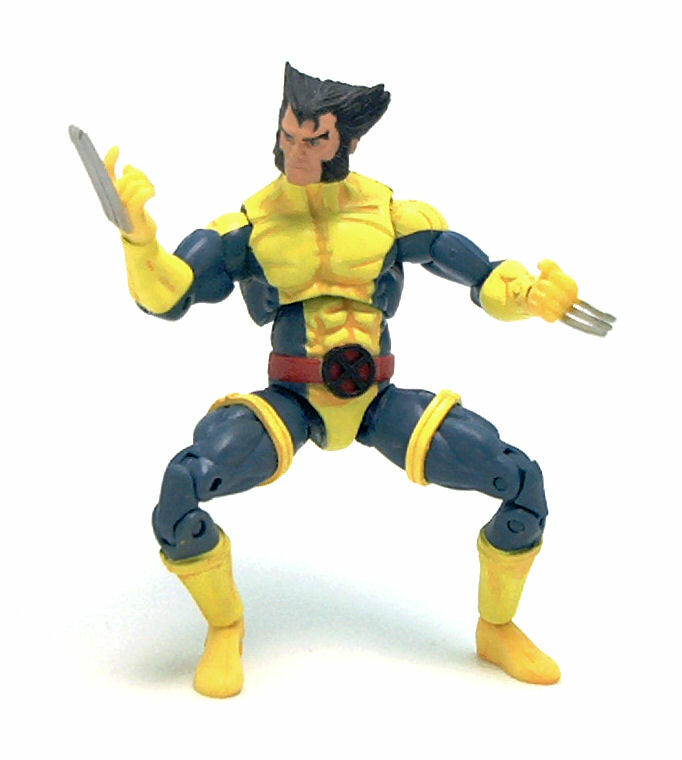 Blue Team wolverine comes with no extra accessories he could use, even though his hands are sculpted in gripping poses. 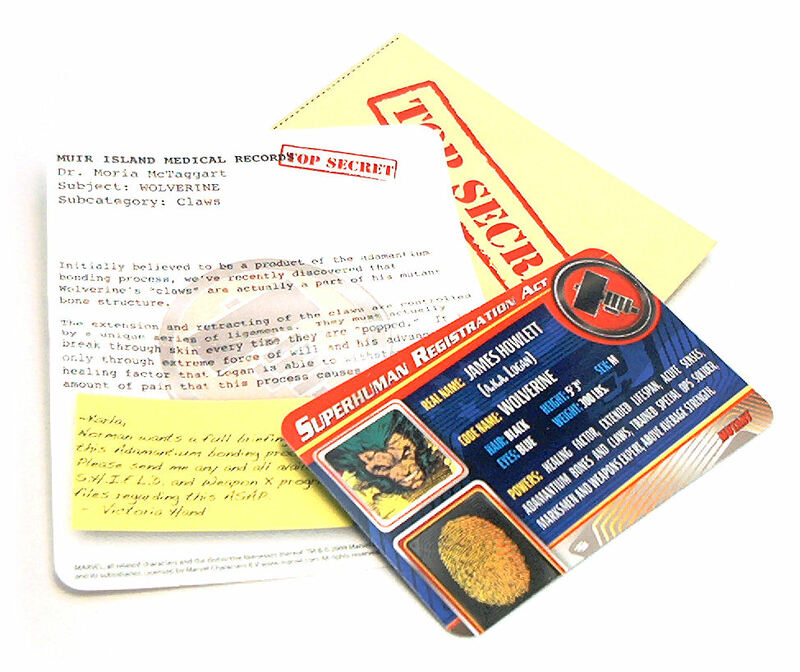 What he comes with are a black display base whose pegs are way too long to fit correctly the holes in Wolverine’s feet, and a brown paper envelope with the character’s HAMMER File and a memo regarding the adamantium-lacing process that gave Wolverine his durable skeleton. 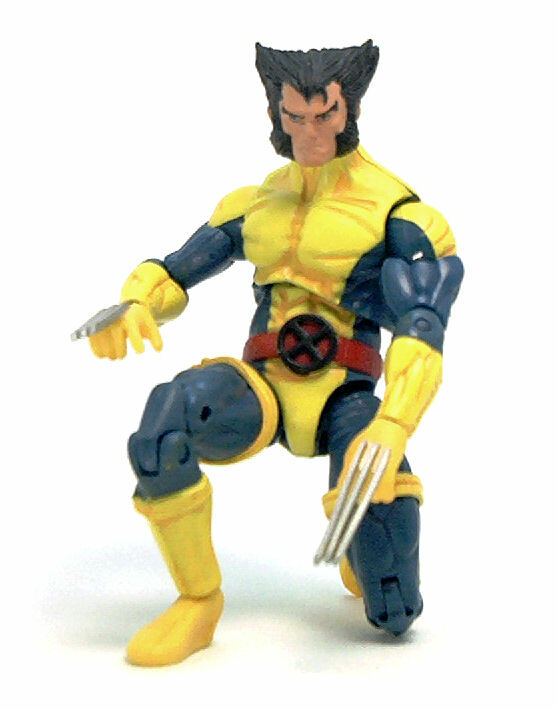 After some online research, it seems that a common issue with either version of this figure is that the plastic disc on the right foot is consistently misaligned, giving Wolverine something of an inward-turning right foot. This defect is not immediately obvious while in the package and is virtually impossible to spot unless you are looking specifically for it. So far, all of the images of this figure I’ve found online show the telltale signs of an improper plastic injection, so we can chalk this one up to QC at factory level. In the end, even with the crooked foot, this Wolverine is a pretty decent figure to have, although I’m also happy to have waited to get the revised head sculpt. He just doesn’t look angry enough to be Wolverine. I just always prefer his regular tiger striped outfit.